New Christmas Price Matching Program! Walmart is pulling out all the stops to be the place to shop this year for Christmas! 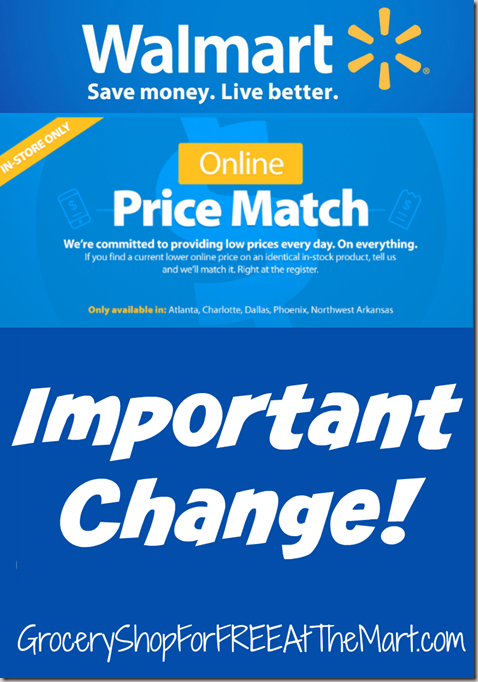 Not only have they brought back layaway but the just announced an amazing price matching program! The short version is that if you buy a qualifying product at Walmart between Nov 1 and Dec 25 and see it advertised for cheaper somewhere else, Walmart will issue you a gift card for the difference. That is a fantastic deal! You can read the press release here. Here’s a short video explaining the Price Match Lists and how to use them. You can find the lists in the Header under “All Current Price Matches”. What are Reverse Coupon Matchups? If you are new to this site, you might not know how to use the Reverse Coupon Matchups I put up every week. Here’s a short video explaining what they are and how to use them to maximize your savings at Walmart every week. 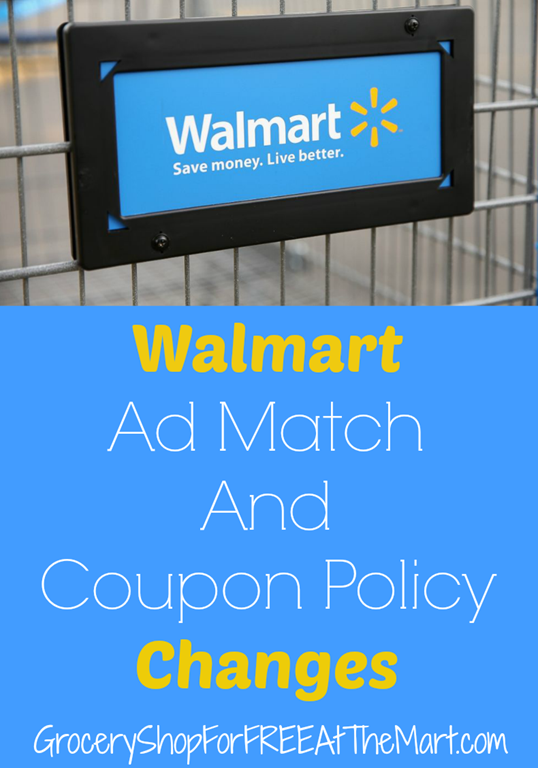 Sometimes the best deals at Walmart are found using print at home coupons from the internet, however Walmart has very strict guidelines that need to be followed or they wont take them. keep these things in mind before you print. They must be legible with a scannable barcode. The big thing here is to make sure that your printer has ink. I can’t tell you how many times I’ve printed off a few coupons before a shopping trip and discovered I ran out of black ink! It doesn’t matter if they are B&W or color as long as they are legible. Also make sure you have white paper in the printer. It’s not against policy to print on colored paper by why tempt fate. Must have “Manufacturer Coupon”, a valid remit address, and a valid expiration date. All legitimate online coupon sites will have all these things so you don’t usually have to worry about it but occasionally you might find a new site with coupons. Before you head to the store, check that coupon out to save embarrassment at the register. Buy one, get one coupons must have a specified price. I’ve never seen anyone actually enforce this policy. What they want is a specific price for an item, like buy one for $3.99 get another free. However in my experience, they will accept one that has an “up to” price. Such as buy one for up to $3.99, get a second free and if they happen to have it on sale for $3.49 they will still let you use it and honor the $3.49 price. If anyone has had an issue with this, please let me know. I would be very interested in hearing what happened. They may not be duplicated. This one is self-evident but don’t make copies of a coupon. 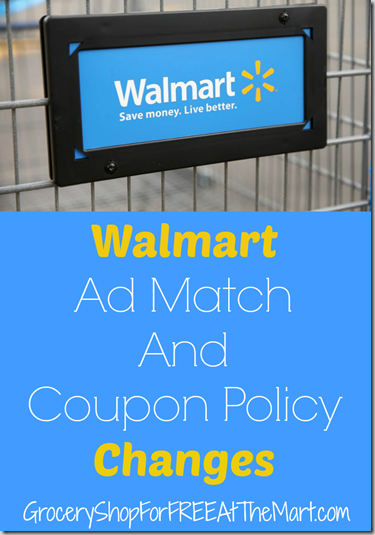 Coupon sites regulate how many coupons can be printed off for a reason. I hope this was helpful! Please refer back to it when printing internet coupons.